Disney princess goody bags bring even more fun to the Princess themed birthday party! 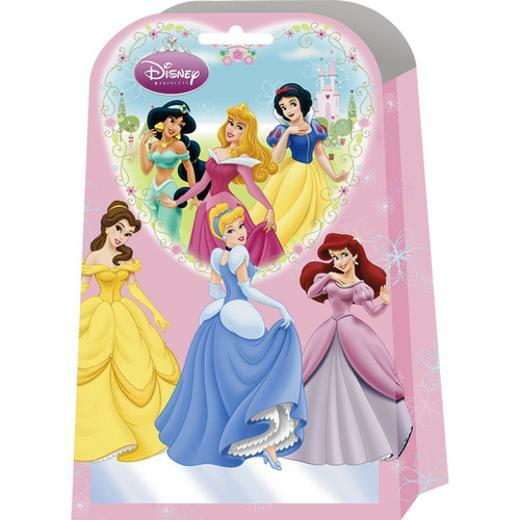 These Disney Princess goody bags make for a great door prize. Each goody box contains one each of: activity card, sticker, wand, comb, maze. L: 8.5 in. W: 4.75 in. H: 6.25 in.